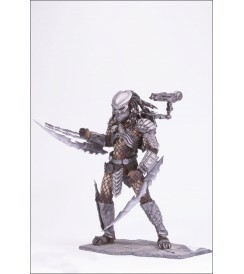 Celtic Predator is 8 1/2 inches tall on base with 21 points of useful articulation. Celtic Predator is based directly on film reference from Alien vs. Predator. Figure is well-articulated and has a base and foot pegs. Shoulder-mounted cannon is fully posable and gun can be removed from arm. 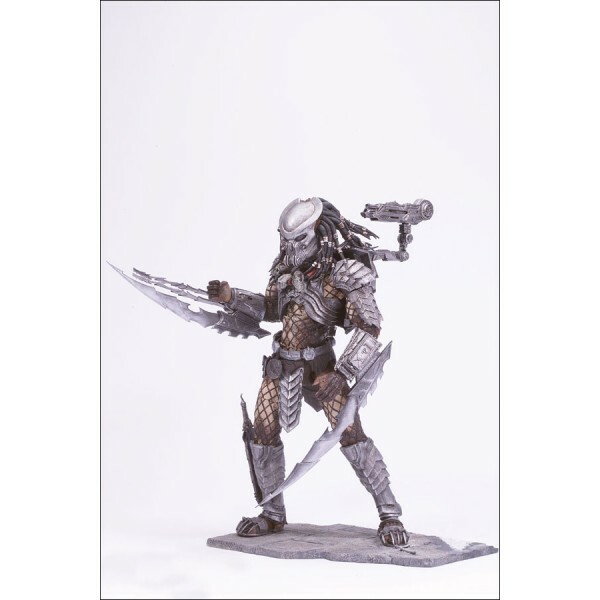 Predator has masked head, all arm blades, separate throwing star and shin-mounted holster with removable knife. Trophy necklace can be removed.